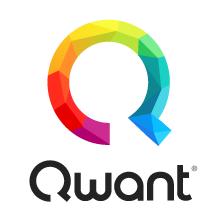 Qwant is a French company providing an eponymous web search engine available since 2013. It claims not to use user tracking nor filter bubble to provide search results. The service initially launched on 16 February 2013, as a beta version, with a stable version released on 4 July 2013. A new version was made available in April 2015.